Hi Fly Is Acquiring Two A380s! Yesterday I wrote about how Singapore Airlines has already retired their first ever A380, less than 10 years after it entered service. Singapore Airlines is taking delivery of five new A380s, and in the process plans on retiring five of their existing A380s, meaning that for the time being their A380 fleet will maintain about 19 aircraft. Unfortunately over the past few years there just hasn’t been much interest in the A380. 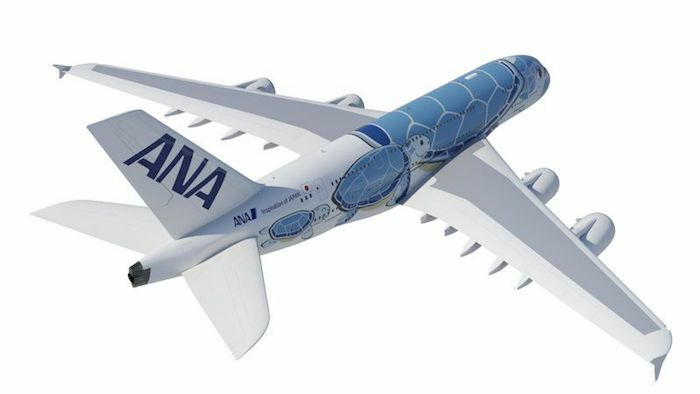 In late 2015, ANA placed an order for three A380 aircraft, which they’ll begin to take delivery of in early 2019. Those planes will fly primarily between Tokyo Narita and Honolulu, though I guess we’ll see in what other markets they eventually operate. There were also rumors of Iran Air ordering A380s, though that ended up falling through. So not only are we in a position where no new orders have been placed for A380s, but we’re also left wondering whether what’s going to happen to the existing A380s that are being retired. Apparently the leasing company for Singapore’s first two A380s was considering scrapping the planes for parts. How sad would that be? While it’s not a new A380 order, ch-aviation.com and aerotelegraph.com note that Portuguese leasing company Hi Fly will be acquiring two A380s in the coming months, which they’ll be flying by Spring 2018. The two planes will feature 560 seats in a two class configuration. 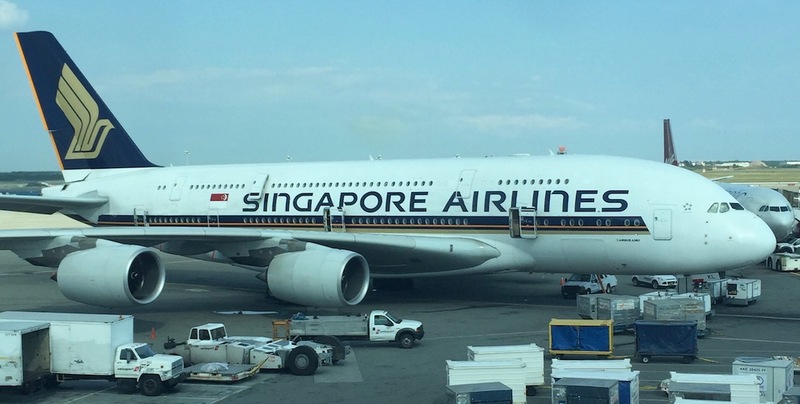 While it’s not explicitly stated, I would guess that they’ll be taking over these two A380s from Singapore Airlines. They hope to use these planes to operate in markets that are otherwise tightly slot restricted. As some of you may remember, I recently flew Hi Fly from Ponta Delgada to Lisbon. Azores Airlines was leasing an A340-300 from Hi Fly, which was a former Emirates plane (it even features the same cabins). Hi Fly generally operates flights on behalf of other airlines on a wet lease basis. In other words, when an airline has a temporary demand in a market, Hi Fly provides the plane and crew to operate a flight on behalf of an airline. It’s pretty gutsy for an operator that wet leases planes to take on A380s. On one hand, I imagine that they got these planes for very cheap compared to the retail cost, given that these planes would have otherwise likely been scrapped for parts. On the other hand, how many airlines really have a temporary need to lease a 560 seat A380? I could see this being useful for pilgrimage flights, which would be similar to what Malaysia wants to do with their A380s long term. That being said, in terms of their general airline leasing business, this seems like a real risk, especially given how many airports can’t handle the A380. Regardless, as an A380 enthusiast you can bet I’m super excited about this. I’m curious to see what kind of generic seating they put in their A380s. Singapore’s new four class A380s feature 379 seats (that’s the least dense A380 configuration of any airline), while on the other end of the spectrum, Emirates’ two class A380s feature 615 seats. So this shouldn’t be too dense of a configuration. 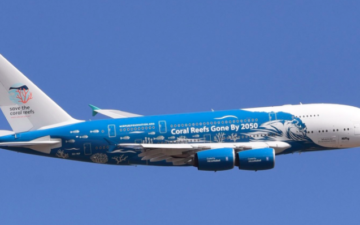 What do you make of Hi Fly acquiring two A380s? Just so that we are clear, ANA did not place an order for the A380. Instead, they inherited these through Skymark Airlines. Please have this corrected as this does not show your knowledge of the industry except for someone who just travels to collect miles (aka armchair CEO). Lol @ Anthony Jones. If you read this blog with any regularity you’d know that Ben has mentioned this fact on several occasions that the ANA orders were inherited as a result of the Skymark deal. ha, Anthony Jones for the passive aggressive snowflake win. Loser. @ Anthony Jones – just jealous or something more ? @ Lucky : keep up the good work ! No guaranty that some of the SQ A380’s will not end up being scrapped after all. There is a bigger demand for slight used A380 parts than there is for slight used A380’s. Airbus might makes extra promises to HiFly in regards to service contract for taking the first bird for prestige reasons. Similar to the Qantas A380 that was repaired. HiFly A380 will work perfectly on Hajj and Umrah. Garuda and Saudia operates 20+ daily 777 flight from Indonesia to Jeddah and Medina during Hajj, and (almost) all major airport in Indonesia is heavily slot-restricted, so two HiFly A380 will take up to four 777 off the roster. @W – I’ve come to know you well as in I know you sit in the back of the bus. 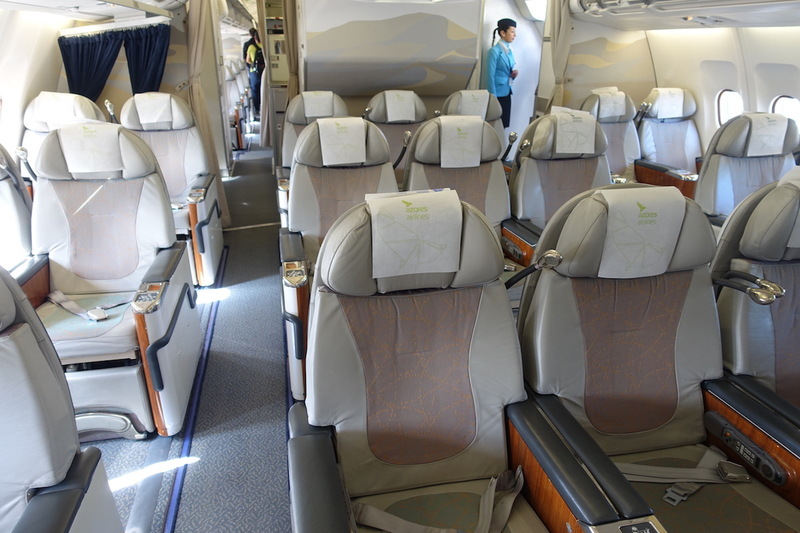 Why do you like the a380 then it’s even more uncomfortable than other aircraft as a result of better premium products. Did I accidentally step in to a party for pedants? This week Qantas CEO Joyce announced continuing to fly 380 for the indefinite future… presumably trans pacific LA? I think it’s important especially these days that, that accurate news is reported. It might seems pedantic to point out these details, but seeing that people get their news/ information from blogs these days, accuracy matters. If you want to be a treated like a journalist, act like one — in other words be accurate. I’ve been a long time reader of this blog and while I pretty much enjoy the content, I’ve noticed more than once that Ben can be inaccurate with his content or is in way over his head in a certain subject. I frankly cannot see how these will work for Hi Fly, unless absolutely massive incentives were given by Airbus. The Hajj market is all well and good but what happens the rest of the year? With the exception of London and New York very few markets actually need these planes due to slot restrictions. Presumably airlines that consider themselves “premium” won’t be leasing this generic metal with any regularity and airlines like Azores who do lease regularly won’t need them. Maintenance costs for a fleet of only 2 aircraft will be high as well. Bet these things are scrapped within a year or two. I think I’ll pass on flying the 380 I’m sure the last few made will be built with care . Would u care if u were getting Canned like a Tuna ? Cat use to tell it’s workers way out we are shutting down the line .They lost a bunch of 1/2 million $$$ engines (2009) so NOW u go home on Friday and NEVER come back by a simple email . @Anony I agree with your position but I suppose I never treat blogs as news sources so the accuracy isn’t horribly important to me. Lucky has very specific domain expertise and I largely treat any post outside of his expertise as gossip. @Ben, do you also know about this other leasing company called Privatair S.A. It’s a Swiss company which operates the PNQ-FRA route for LH by a B767. Can’t believe that a company like LH also wet leases. It’s interesting how this business model is picking up. Be an airline without as much trouble as an airline goes.